The FAA is burdening Bay Area communities and wildlife habitats with aerial freeways for jet planes. And even the National Park Service can't stop the noise. On a recent cloudy afternoon in the middle of a wilderness area within Point Reyes National Seashore, Judy Rocchio lay down and closed her eyes. 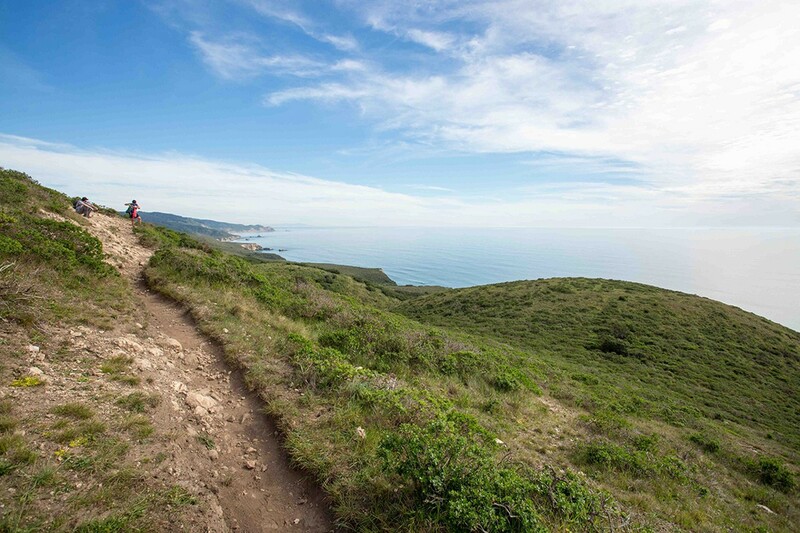 An hour or so north of Oakland, the national park in Marin County offers breathtaking views of the Pacific Ocean and hikes through pristine and undisturbed wildlife habitat. We had just trekked about one mile on Bull Point Trail, a fairly easy route that takes visitors away from the car traffic of Sir Francis Drake Boulevard and toward the peaceful quiet of Drakes Estero, the estuary in the heart of the park. When we stopped to rest near a particularly picturesque overlook of the estero — the West Coast's first federally protected marine wilderness area — Rocchio plopped down in the yellow dandelion-studded grass, and listened for unusual or interesting nature sounds. We were far enough away from motor vehicle traffic and all other park visitors that the only sounds we could hear were natural ones — cows mooing (from nearby ranches), birds chirping, insects buzzing. We had found true quiet — just forty miles away from the urban bustle of the East Bay. For more than twenty years, Rocchio has worked in the natural resources division of the National Park Service (NPS) in the agency's Pacific West regional office in San Francisco. In her role as an NPS program manager, Rocchio is responsible for helping protect three ecological resources that park visitors may often take for granted: air quality, dark night skies, and natural sounds. In terms of the soundscapes of national parks, Rocchio is keenly aware of the noises that come from nature — and ones that do not. When we first started hiking, she told me she was glad I wasn't wearing noisy synthetic pants. "All we hear is birds and our own footsteps," she said. "We, here at Point Reyes, treasure the silence, the quiet. And it's not really silent, is it? When you're quiet in nature, you start to hear things." But as we sat near Drakes Estero, trying to pinpoint all the natural sounds around us, a low rumbling noise began to emerge in the distance. At first, the sound could almost be mistaken for the sound of waves crashing on a far-off beach, but after a few seconds, it was clear that the sonic intrusion was manmade. Rocchio looked up. A plane was coming. The noise grew louder, though we couldn't spot the jet — perhaps because it was too cloudy that day or because the flight wasn't directly overhead. After several minutes, the noise faded and we were back to quiet. For years, Rocchio and NPS officials across the country have worked to protect the natural sounds of parks by minimizing and eliminating unnatural noises. And most recently in the Bay Area, those efforts have centered on efforts to reduce the impacts from commercial jets, the largest source of noise pollution for many wilderness parks. But the NPS has no control over what happens in the sky. That's the jurisdiction of the Federal Aviation Administration (FAA), which, in late 2012, began a major project in Northern California that is fundamentally shifting how planes fly in and out of San Francisco, Oakland, San Jose, and Sacramento international airports. Those airports and the airspace around them make up what the FAA calls the NorCal Metroplex — a region that's in its final stage of completing a large reorganization of flight routes through the FAA's so-called "Optimization of Airspace and Procedures" project. That initiative, broadly aimed at approving the efficiency of air travel, is part of the FAA's long-term plan to modernize US airspace by transitioning from a ground-based system of air traffic control to a satellite-based model that relies on global positioning system (GPS) technology. The FAA's Next Generation Air Transportation System, known as NextGen, allows the agency to guide planes on more direct routes via GPS, which can enhance safety, minimize delays, and save fuel. But while there is broad consensus that the shift to GPS technology is sensible and that the FAA should work to reduce aircraft exhaust emissions, the rollout of NextGen has sparked controversy and litigation. That's because the new system is effectively steering jetliners onto new superhighways in the sky. These new aerial freeways are concentrating commercial jet flights over certain areas — including Point Reyes National Seashore — that are now being forced to shoulder disproportionate levels of noise pollution. A growing group of opponents also say the FAA's implementation of NextGen, in Northern California in particular, has been marred by an inadequate environmental review process and an overall lack of transparency. In addition, the agency's method of evaluating noise impacts and disclosing them to affected communities appears to be severely flawed. Moreover, opponents note that the FAA has flatly rejected a solution that would reduce noise over Point Reyes by directing plane flights over the Pacific Ocean. The FAA steadfastly maintains that its new flight system, which is strongly backed by and was developed in conjunction with the airline industry, is causing "no significant impacts" to the region — despite the overwhelming evidence supporting the opposite conclusion. This evidence includes extensive testimony and detailed analyses by National Park Service experts, who had initially hoped that FAA's NorCal project would help reduce jet noise over sensitive habitats in federally protected parks. The NPS research shows that in some park areas — notably over the high-quality habitat of Point Reyes — the noise is getting worse. In addition, the FAA's unwillingness to work with the NPS, which is supposed to be its partner in the federal government, sheds light on the aviation administration's longstanding habit of largely ignoring its critics, even when there is compelling data suggesting that its practices are causing serious environmental problems. "We have a long history of [the FAA] not agreeing with us," Rocchio said. 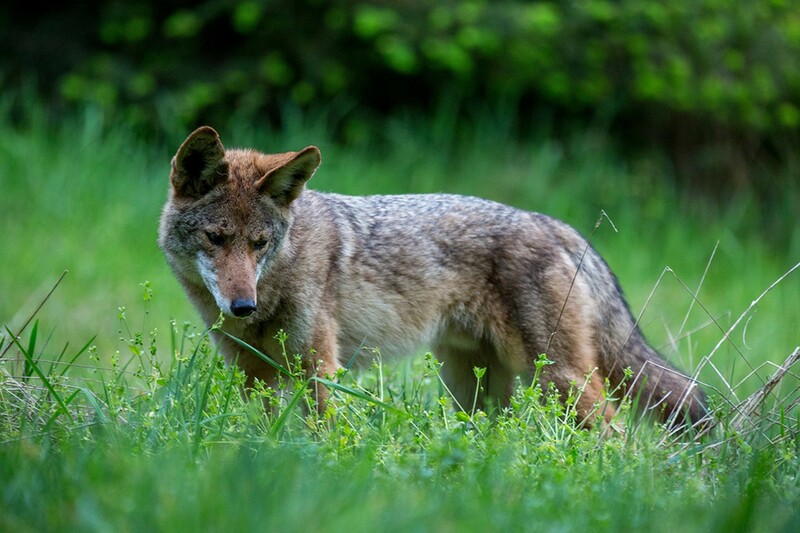 "We feel we're obligated to get this noise off of the wilderness areas. And so we're just trying to do our job, and they're just ignoring us." In dismissing the NPS's concerns throughout the NorCal process and declining to consider solutions that could reduce jet noise at parks, the FAA has made clear that victims of noise pollution across the country are largely helpless. For humans and wildlife, that means the increasing harms of air traffic could persist with no end in sight. For more than fifty years, the FAA has controlled US traffic in the sky — managing aircraft takeoffs and landings and the flow of planes. The FAA's air traffic controllers have used evolving technologies over the years to direct flights within one of the most complex aviation networks in the world, known as the National Airspace System. It's this system's urban metroplexes — the congested airspaces over major cities — where the FAA's new GPS technology is intended to dramatically improve operations. Traditionally, air traffic controllers have communicated with pilots via radio and used radar to monitor aircrafts and ensure that traffic in the sky is safe and orderly. Congress first approved the concept of NextGen, the GPS technology, in 2003, paving the way for the FAA to start replacing ground-based navigation systems with a satellite-based one. Simply put, it's a shift to a digital system that allows the FAA to guide and track flights on precise and direct routes. "The satellite technology creates predictable, repeatable flight paths that are very specific," FAA spokesperson Ian Gregor said in a brief interview. There are many advantages, he said, such as new descent procedures that allow aircrafts to glide down to the runway — like sliding down a banister — instead of the conventional process that required pilots to level off at each stage and thus burn more fuel. A more efficient descent can save time and money and reduce a jet's carbon footprint, he said. Under the older, less precise air traffic system that had been in effect for decades, plane routes were spread out over a relatively large region, which meant that jet noise, in turn, tended to be somewhat dispersed among communities and unpopulated areas. By contrast, NextGen essentially directs jets, one by one, onto specific pathways, concentrating the plane noise over communities that are underneath these aerial freeways. The FAA also says that NextGen results in planes spending less time sitting on the ground and holding in the air and allows for real-time sharing of data regarding weather, aircraft locations, and other relevant airspace conditions. As part of its large-scale rollout of NextGen, the FAA, in 2009, began the process of launching "airspace optimization" initiatives in metro areas, identifying metroplexes that could benefit from this transition. There are now fourteen metro projects in the works or completed, including one now underway in Southern California. For each regional project, the FAA is required under the National Environmental Policy Act to assess and disclose to the public potential environmental impacts of the new systems and procedures. Because the FAA was apparently behind schedule in implementing NextGen, Congress, as part of the FAA Modernization and Reform Act, directed the agency in 2012 to speed up the rollout of the technology and complete the metroplex project on expedited timelines. That effectively meant more limited environmental scrutiny. A project that could result in "significant noise or other environmental impacts" would require the feds to prepare a so-called Environmental Impact Statement (EIS), a process that typically takes more than three years to complete and comes with extensive analyses of alternative options. Instead, FAA has claimed that the metroplex projects do not produce major impacts. This has allowed the agency to complete quicker "environmental assessments" that are less rigorous than an EIS. The expedited NorCal Metroplex timeline meant the FAA would be able to complete design and implementation within three years. In August 2014, the FAA released its official "finding of no significant impact" for the project — the final step of the review process — and has since been implementing the new routes and procedures in phases. As of this month, most flights in the Bay Area have been using the new superhighways in the sky. Opponents say that one of the biggest flaws of the FAA's limited environmental assessment is that the evaluations of jet sounds fail to recognize significant increases in noise pollution over specific areas. Instead, the FAA has marketed NextGen as a tool to reduce noise — since more precise and efficient paths can limit the areas exposed to jets. But the areas located under the FAA's new aerial highways are experiencing huge impacts. "Instead of having the whole Bay Area share the noise, you're putting it under a few straight lines ... and slamming whoever is under the beam," said Jennifer Landesmann, a Palo Alto resident. Parts of Palo Alto fall under three new flight routes to San Francisco International Airport (SFO) in the NorCal optimization project. Landesmann is part of a local advocacy group called Sky Posse Palo Alto that has argued that the FAA's noise evaluations are insufficient. Although the FAA contends that the NorCal changes will translate to $6.5 million in annual fuel savings, critics have said that this amount is relatively insignificant given the size of the metroplex. Landesmann further argued that this financial benefit for the private airline industry does not justify the severe disturbances now plaguing numerous communities in the region. One problem with the FAA's analysis is that it averages sound levels over a 24-hour period. As a result, the measurement tends to mask the hardships residents can face at specific times of day. "They have a responsibility to do realistic sound measurements that adequately measure the impact that they are putting on a community," said John Leopold, a supervisor in Santa Cruz County, which has also been hit with a substantial increase in noise complaints since the implementation of the NorCal Metroplex project. A relatively low-flying plane could cause a major disruption for a single minute, but if it happens several times in the middle of the night, that can clearly be significant for residents, Leopold said. "They could say that, on average, it doesn't cause a problem, but if it's 1 a.m., it doesn't take that many flights to wake you ... and ruin the quality of life in your neighborhood." (The FAA's 24-hour averages do take into account that nighttime flights cause greater disturbances, but critics said the metrics are inadequate). Santa Cruz County residents have filed more than 8,000 noise complaints in recent months with San Francisco International Airport (SFO), when last year there was only one complaint from the area. And Leopold said he's received roughly seven hundred emails with complaints about jet noise since March when the FAA switched to the new NextGen procedures, thereby increasing loud traffic over parts of Santa Cruz. That constitutes the most intense feedback he has ever received on a single issue in his seven years as a supervisor, he said. For residents and local elected officials throughout the region, the widespread backlash clearly contradicts the FAA's findings last year that the new flight routes would have "no significant impact," even in areas underneath the new aerial highways. In addition to Santa Cruz and Palo Alto, parts of San Mateo County have also seen a surge in jet noise disturbances and complaints, prompting residents from Portola Valley and Woodside — roughly 25 miles south of SFO — to file a petition in federal court against the FAA, challenging its environmental assessment. In general, the FAA's threshold for aircraft noise that causes adverse impacts is unreasonably high, critics said. That inadequacy is exacerbated by the fact that the measurements fail to meaningfully consider existing levels of quiet in certain areas. Increased decibel levels, even relatively minor ones, can also create hazards in some of the most sensitive habitats in California — where there are no human residents to speak up, and where noise pollution can have significant consequences. The noise from commercial jets can be confusing — and hazardous — at times because it mimics a number of natural sounds in wilderness areas. Kurt Fristrup, a National Park Service senior scientist and leading expert in natural sounds, has experienced this firsthand. Fristrup, who is based in the NPS's offices in Fort Collins, Colorado, regularly hikes the state's "fourteeners" — mountains with an elevation higher than 14,000 feet — and has on occasion been confused by the noises around him. "The sounds of high-altitude jets are remarkably like some other sounds in nature," including that of thunder, avalanches, and flash floods, said Fristrup, in a recent phone interview. Despite his extensive hiking experience and years of research on natural sounds, he said he has sometimes doubted that hazardous weather conditions were occurring in the wilderness — because he thought maybe he was just hearing another jet flying above. "We get used to common sounds," he continued, explaining that because aircraft flights are so frequent over some parks, "the presence of jet noise sort of reduces people's expectations or conditions them not to notice it as much." In other words, people are increasingly accepting jet noise as a normal part of the wilderness. In the same way that the NPS has a responsibility to protect the physical resources of national parks — often working to restore a park's conditions to its natural state before human intervention — the federal agency is also obligated to preserve natural sounds. Both the Organic Act of 1916 (which established the NPS as a government body) and the Wilderness Act of 1964 (which created landmark conservation principles) identify natural sounds as a resource that requires protection. And in 2006, the NPS updated its own soundscape management policies to state that the park service will take actions to prevent or minimize all human-caused noise that adversely affects park resources. "If we have a natural condition, we will work to not let it get worse, and if we have an impact, we will work to get it back to natural," explained Rocchio, the San Francisco-based NPS official. NPS experts have published extensive research illustrating why the natural soundscape is a vital component of wilderness ecosystems. Just as habitat fragmentation from roads can make it harder for animals and species to survive, loud noises can negatively impact natural processes. For example, noise pollution can interfere with intra-species communication, courtship and mating, nurturing and protecting young, predator and prey dynamics, and the establishment of territories. NPS research has shown that, in some cases, an increase in sound in the ambient environment of just three decibels can be substantial. Such a change can slash the so-called "listening area" for birds and mammals by half — meaning that wildlife can no longer hear many of the natural sounds in the surrounding area. (A listening area represents the size of a geographic area in which wildlife can hear sounds. An increase of six decibels — a decibel is a unit of sound intensity — is often considered a doubling of loudness.) "That has implications for all animals that depend on being hidden or being heard," Rocchio said. Prolonged exposure to noise, Fristrup wrote in a recent study, can cause wildlife to avoid certain areas altogether, thus further minimizing the already limited potential habitats for some species. For example, studies of songbirds near oil and gas developments have found major reductions in bird density, bird species diversity, and pairing success. The NPS has also conducted extensive surveys on the way unnatural sounds impact visitors' experiences, reaching unsurprising conclusions — that park-goers value the quiet and that noise intrusions are particularly disruptive to hikers who have journeyed into the wilderness. One study found that 72 percent of Americans believe that one of the most important reasons for preserving national parks is to protect the opportunities to experience natural peace and nature sounds, according to the NPS. Fristrup has often talked about how natural quiet has a documented calming effect on people, while vehicle noise can have the opposite impact. 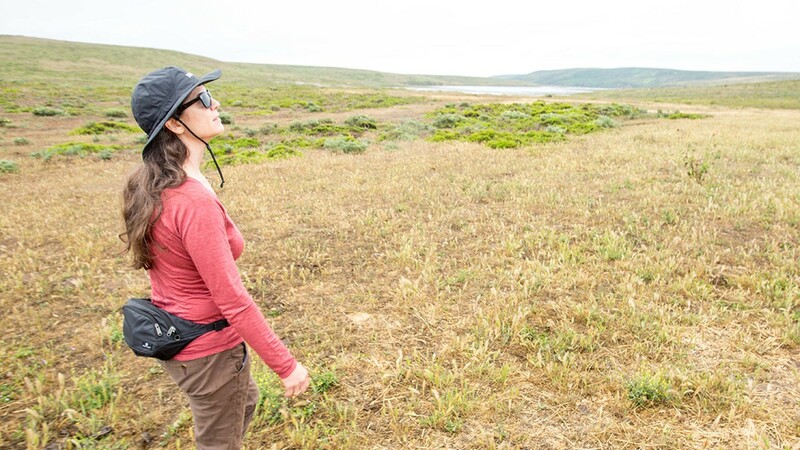 As Cicely Muldoon, superintendent of Point Reyes National Seashore, explained in an interview: "For people coming out for a nice wilderness hike ... you can be out there by yourself, a ways down the trails in the park, and not see anybody." Given that this kind of park experience exists so close to a major metropolitan area, she added, "Point Reyes is really pretty extraordinary. ... The quality of the quiet is really profound." To fulfill its mandate to protect natural sounds, the NPS and individual parks have limited vehicle traffic, used quieter mechanical equipment for maintenance and infrastructure projects, and educated visitors about ways they can help preserve "quiet zones." Compared to significantly more complicated environmental threats, such as climate change and invasive plants, restoring the quiet in federally protected lands is relatively simple and achievable, said Daphne Hatch, NPS chief of natural resources management for Golden Gate National Recreation Area (a series of parks that extends from Marin County, just south of Point Reyes, to the Peninsula). "With all the other pressures we have, this is one that could be controlled," she said. "There are incredibly important resources of all kinds ... and visitors come here from all over the world to appreciate these resources." When it comes to the biggest source of noise pollution for parks — aircraft buzzing overhead — officials throughout the federal government have long acknowledged the problem. In 1994, the NPS produced a lengthy report for Congress that investigated the effects of aircraft flights on federal parks. That report noted that biologists believe flight noise disturbances might be causing animals to abandon their habitats, injure themselves while in panic mode, and suffer a loss of energy due to the stress of chronic exposure. The NPS's subsequent acoustical monitoring projects — along with local airports' official noise reports — have documented that, for some parks, the jet noise is, in fact, chronic. In 2000, SFO's Aircraft Noise Abatement Office reported an average of 105 flights per day over Point Reyes. And in 2011, the FAA and the NPS collaborated on a sound report for the park, which concluded that aircraft noise was audible for as much as 27 percent of the day in certain parts of Point Reyes. A similar 2005–2006 NPS report for Yosemite National Park, has long experienced frequent flights overhead, also determined significant noise impacts from jets at sensitive habitats and popular backcountry hiking areas. The NPS found that aircrafts were audible 55 percent of the day at Granite Lake near Tioga Pass; 58 percent of the time at Tuolumne Meadows; and between 41 and 49 percent at locations along the Tioga Road corridor. "A lot of high-altitude jets ... get funneled over Yosemite," said Vicki Ward, NPS overflights program manager, who is also based in Colorado. "It's just constant." 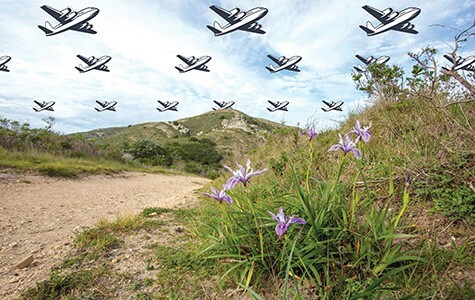 Given the extensive research demonstrating that jet noise produces negative consequences, NPS officials were hopeful that the FAA's NorCal project would provide a unique opportunity to preserve and restore the natural quiet. So when the FAA's noise data suggested that the NextGen-based flight routes would actually increase jet sounds over certain sensitive habitats, NPS officials were stunned. The data was especially troubling considering that the FAA was claiming that its project would have no significant impact on the environment. When I first met Rocchio at the NPS offices in downtown San Francisco, she handed me a large stack of papers from her NorCal Metroplex research. The records included several years worth of letters between the FAA and the NPS, along with detailed analyses of the noise data that the FAA released in its environmental assessment. The documents provide insight into the challenging process that the NPS faced in deciphering NextGen's impacts on wilderness areas — and park officials' ensuing struggle to convince the FAA to take their concerns seriously. As part of the hundreds of pages of documents that the FAA released in its initial environmental report last spring, the agency published an extensive "Aircraft Noise Technical Report" with projected sound level changes for more than 12,000 individual grid points within the NorCal Metroplex. The data included hundreds of stats corresponding to specific geographic locations within Point Reyes and Golden Gate National Recreation Area, the two parks most impacted by regional flights. Although multiple NPS officials had urged the administration to closely consider potential impacts on federally protected wilderness areas, the FAA's raw data provided no comprehensible explanation of the projected effect on national parks. Instead, the FAA relied on the same sound formula it used to model noise increases throughout the region — average airplane noise over the course of 24 hours. Even after the NPS made formal requests, the FAA refused to disclose how many commercial jets currently fly over the national parks within the metroplex and how that number would change through its NorCal project. This is despite the fact that federal law requires the FAA to provide a "clear, accurate description of the potential environmental impacts" and respond to public comments, whether from a private citizen or another federal agency. Gregor, the FAA spokesperson, also declined my repeated requests over several weeks for historical and current data on the frequency of flights over Point Reyes National Seashore. In the absence of basic flight frequency data, Rocchio was forced to do her own analysis with the limited numbers available. She and NPS mapping experts plotted each projected change in noise levels in the affected national parks. The resulting map was troubling: Some of the quietest parts of Point Reyes would experience huge increases in jet noise for a wilderness area — five to seven decibels above current levels. While the eastern portion of the park, along with the very western tip of the Point Reyes peninsula, would experience some decreases in airplane noise, the central part of the park — including a significant portion of sensitive habitat known as the Phillip Burton Wilderness Area — would see a big jump in disruptions. 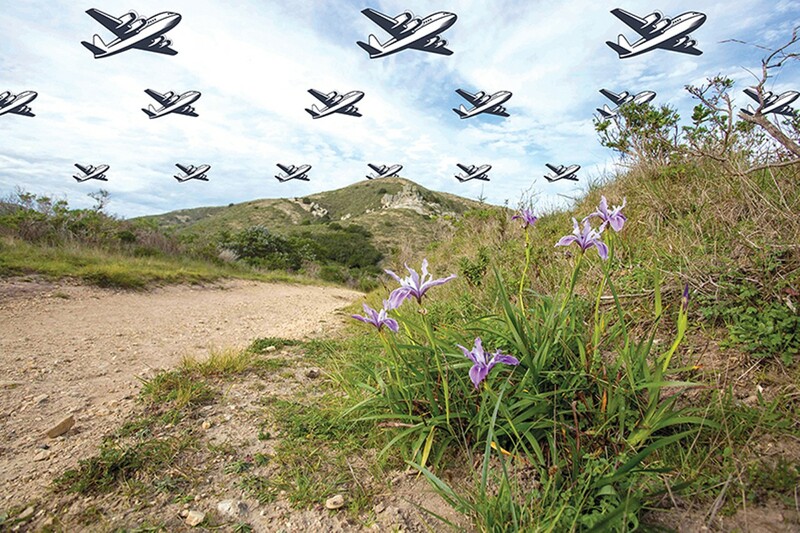 The NPS "is concerned that rather than reduce or eliminate potential overflight impacts, the project may simply shift the impacts to new areas of the park and Phillip Burton Wilderness," wrote Christine Lehnertz, the then-NPS Pacific West regional director, in an April 2014 letter to the FAA. "You would not build a freeway offramp in Point Reyes National Seashore," said Michael McEneany, a resident of Inverness, a small town adjacent to Point Reyes. "So why on God's green earth would you propose building an aerial freeway right through the middle of the wilderness area? It's absurd." McEneany spent a decade serving as the Marin County representative on the Oakland Airport Community Noise Management Forum, an advisory group within the airport, and has long argued for reductions in jet noise around Point Reyes. The FAA, however, concluded that the decibel increases at Point Reyes were insignificant. That's in large part because the FAA's metrics don't consider how noise increases are particularly harmful in quiet, natural habitats. On the contrary, the FAA, as an official practice, does not even consider jet noise impacts in areas with an existing background soundscape of less than 45 decibels — a baseline level that is very quiet. Many wilderness parks have natural sound levels in the 30–40 decibel range. The FAA essentially argues that it's pointless to analyze plane noise impacts when an area is already so quiet and thus easily disturbed by minor noise increases. But in practice, that means the FAA effectively allows unlimited noise increases in the quietest wilderness habitats. And that allows the FAA to claim an increase of six decibels is not environmentally significant — even though research shows that this intrusion in nature slashes the size of the area in which wildlife can hear by 75 percent, and thus substantially impacts some animals' abilities to communicate. "We feel like the wilderness here deserves more protection — that really was our goal," said Rocchio. "But rather than reduce or eliminate [the noise], it actually increased." Rocchio argued that it was misleading for the FAA to not openly disclose this huge noise increase in a national park — and even more frustrating when the agency responded to the NPS by dismissing its concerns and simply restating that its plan would have no significant impact. "They didn't want anyone to see this," Rocchio said, referring to the NPS-generated map showing the concentrated region of five-to-six decibel noise increases in Point Reyes. "A picture is worth a thousand words, and it still didn't help." The FAA also refused to answer the NPS's questions about whether the NorCal project would result in fewer aircrafts flying in "holding patterns" over Point Reyes — meaning when jets fly in circles waiting to land. Historically, flights en route to SFO have frequently engaged in holding patterns over the park, which can exacerbate noise pollution. But the FAA stated in its environmental assessment that holding patterns are based on traffic, weather, and other factors and that it could not provide any specifics on the current or future use of this strategy in the Point Reyes area. Gregor also declined to provide this data to me, but confirmed that the FAA's new procedures still allow jets to go into holding patterns over Point Reyes. Citing pending litigation over the FAA's metroplex projects and NextGen, Gregor declined to be interviewed in detail for this story and declined to comment on the NPS's projections of noise increases at Point Reyes. He said in an email that in the past, flights from the north arriving to San Francisco and San Jose flew over Point Reyes, but that under the new system, the San Jose arrivals aren't going over the park. But the NorCal NextGen procedures, he said, do include a new SFO arrival route that passes over Point Reyes — though he said there are other paths that are "further east," but declined to provide specifics. Asked about the frequency of flights over Point Reyes, an SFO spokesperson deferred to the FAA. (In the old system, routes to and from Oakland Airport generally did not fly over the park, and that hasn't changed with NextGen). Given the FAA's vague noise measurements and the administration's refusal to answer basic questions, it's unclear how bad the noise impacts are at Point Reyes. As of recently, the FAA has adopted nearly all of the new NorCal Metroplex procedures, according to Gregor, but the NPS has not yet monitored changes in noise levels in the relevant wilderness areas. When Rocchio and I visited the park recently, she said the jet noise was not nearly as loud or frequent as she had expected it to be given the FAA's data and the NPS's analysis. But without continuous monitoring, it's difficult to draw meaningful conclusions about the long-term impacts. (It was also a rare rainy day on our visit). When we hiked in the wilderness area projected to see significant noise increases, we heard planes intermittently — some that sounded distant and a few that seemed louder and closer. We ran into a park ranger who told us he hadn't noticed an increase in jets, but who said he might have grown accustomed to the noise. In the morning, I heard consistent flight noise while at Limantour Beach on the southern coast of Point Reyes — in less than one hour, three or four flights that were loud enough to clearly distinguish over the sounds of ocean waves crashing nearby. Rocchio said Point Reyes staffers also told her that the jets recently were so loud that a group of biologists visiting the park could not hear each other over the noise. One of the most frustrating parts of the process for conservation advocates, the NPS, and Marin County residents is that the FAA not only approved an increase in noise pollution over sensitive wilderness habitats, but it also brushed aside proposals for a potential solution. That's despite the fact that experts have long argued that there is an achievable compromise in the region — one that would largely preserve the quiet of Point Reyes and return it much closer to its original natural state. On January 11, 2001, Jane Garvey, the then-head of the FAA, traveled to Marin County to meet with local officials and announce a plan to provide some relief from the constant jet noise plaguing the community. "The economy was burgeoning [at the time] and people were doing a lot of flying," recalled Liza Crosse, administrative aide to Marin County Supervisor Steve Kinsey, who has represented West Marin County since 1996. "There was more commercial air traffic and there was more neighborhood concern about noise." Kinsey, along with then-Congressmember Lynn Woolsey (D-Petaluma), helped pressure the FAA to consider changes to local aircraft routes that would decrease the noise in affected areas. According to reports at the time in the San Francisco Chronicle and the Santa Rosa Press Democrat, the FAA agreed to redirect some nighttime routes away from Point Reyes and Bolinas (a coastal town just south of the national park) and move the jets westward over the ocean. During her visit, Garvey and Marin County officials described the changes as minor shifts designed to provide an immediate reprieve, but emphasized that they were exploring long-term solutions to alleviate the noise impacts. Weeks before Garvey's visit, SFO's Aircraft Noise Abatement Office released a detailed study of flights over Marin County that explored options for comprehensive solutions. One key recommendation was that aviation officials consider opening up a portion of the nearby offshore airspace for commercial jet use. The major obstacle was that the offshore airspace next to Point Reyes was — and still is today — a US military zone, which means the FAA doesn't have direct authority over the area. For years, the Alameda Naval Air Station, before it was decommissioned in 1997, was the primary user of this Marin County offshore airspace, which includes two so-called "warning areas" typically used for military training exercises, according to the SFO report. Roughly twenty miles offshore from Marin County, there is also a coastal "Air Defense Identification Zone," which similarly carries restrictions for non-military air traffic. The SFO noise report suggested that, although the existing restrictions clearly complicate flight patterns in the region, there were opportunities for the FAA to work with the US Department of Defense to open up military zones over the ocean for commercial jets. 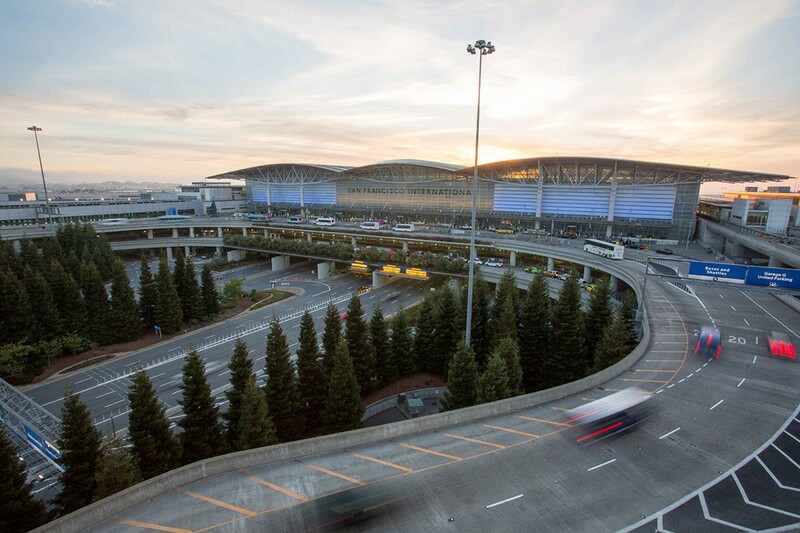 Crosse (from Kinsey's office) and McEneany (the Inverness resident who served on the Oakland Airport noise management group), both recalled that the FAA came close to establishing a long-term compromise that would shift flights offshore in 2001. But after the September 11 terrorist attacks that year, the discussions came to a halt, apparently because of the military's desire to fully preserve its airspace off the Pacific Coast. "We were right on the verge of actually making the change," Crosse recalled. "But then 9/11 happened, and the military airspace was deemed essential." Now, fourteen years later, National Park Service officials and other advocates for noise reduction say it's time to revisit the possible compromise. There is also a precedent for collaboration. In 2010, the FAA partnered with the Defense Department to allow limited commercial air travel in military zones on the East Coast during busy holiday seasons. And Gregor told me in an email that the FAA has, in fact, used the West Coast military "warning areas" for commercial flights when the airspace is available, but he did not provide specifics. "There appears to be some flexibility," said Rocchio, who showed me flight maps and drawings with airspace zoning restrictions. "We're just looking to protect this little bit over Point Reyes." 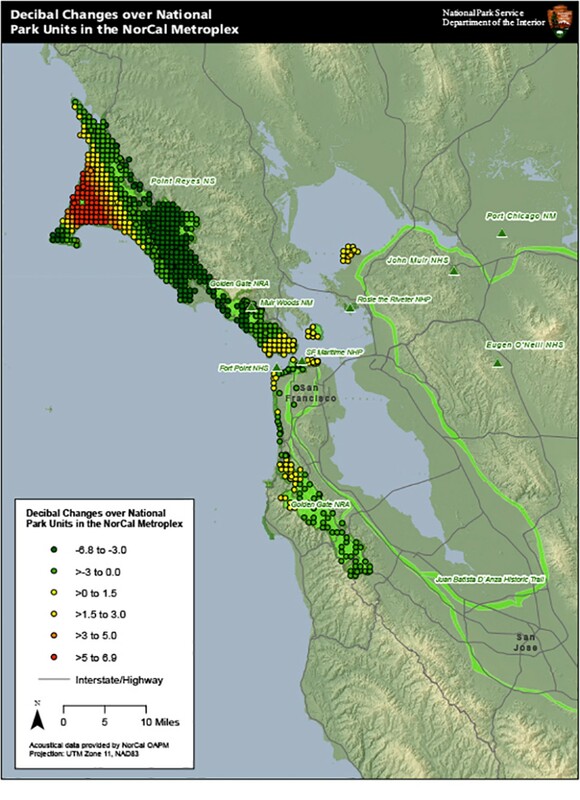 In December 2013, at the start of the NorCal Metroplex process, NPS officials wrote to the FAA urging that it again consider possible offshore routes by Marin County. Four months later, just before the FAA released its full environmental assessment, Elizabeth Ray, vice president of mission support services in the FAA's Air Traffic Organization division, responded to the NPS, making clear that directing flights over the ocean was not something that the FAA would consider: "Rerouting flights along the Marin coastline to routes further offshore is not part of the purpose of this project." In its final environmental report on the NorCal Metroplex, the FAA once again dismissed the NPS's offshore rerouting request with a vague comment that stated in its entirety: "To the extent [the NPS] has recommended moving all flights west and over the ocean, this is not reasonable or feasible because of various factors including airspace complexity and the presence of restricted airspace over the ocean that limits where aircraft may operate." This response, critics said, was in many ways emblematic of the FAA's pattern of refusing to work on compromises with groups affected by noise. For example, the FAA's NorCal Metroplex assessment also failed to consider any potential noise impacts at Yosemite, one of the most popular national parks in the country. In a January 2014 letter to the FAA, Lehnertz, the NPS Pacific West regional director, specifically requested that the FAA include Yosemite in its environmental assessment, noting that a significant amount of east-west air traffic in the NorCal Metroplex flies over the park and that the NPS has extensive documentation about the frequent, negative impacts on wildlife and visitors. Ray, the FAA vice president, eventually responded with a letter denying her request, stating that Yosemite was outside the geographic bounds of its review and further arguing that because flights over the park were more than 18,000 feet above ground, the FAA "policy has established that there is no reason to analyze aircraft noise." In other words, the FAA not only failed to consider opportunities to help protect the natural landscape of Yosemite — by potentially decreasing flight routes over particularly sensitive areas — but aviation officials refused to even study how the crown jewel of the US national park system might be affected by noise. Similarly, the NPS has long tried to minimize noise impacts from air tours — sightseeing helicopters and small jets that are popular attractions at some parks — but the FAA has opposed park officials' proposals. In 2000, Congress passed the National Parks Air Tour Management Act, requiring the FAA to work with the NPS to pass formal "management plans" for the national parks in which air tours operate. The NPS hoped the two agencies could write and adopt specific plans that would limit noise pollution — for example, capping the number of flights allowed or limiting when and where air tour operators could fly. But fifteen years later, the two agencies have not passed a single air tour management plan, because the FAA and the NPS can't agree on how to measure noise impacts, Rocchio said. (FAA representatives did not respond to my requests for comment about air tours). "The Federal Aviation Administration has a very different mandate than [the NPS]," added Ward, the NPS overflights program manager. "We look at why parks were established and what were the resources being preserved. In that difference in our mandates, it's made it really difficult for us to find common ground." For Rocchio, the longstanding dispute over air tours speaks to her broader frustrations with the FAA's priorities. The FAA "seems to be more of an advocate ... for air tours, and I'm not sure they need to be advocating for the air tour industry," she said. "Shouldn't they be partnering with another federal agency to protect resources?" Critics of the new superhighways in the sky hope that the technology that created the noise problems will ultimately help restore some of the quiet in Northern California. Because the GPS system allows aviation officials to establish very precise flight plans, the FAA, they say, should use the satellite-based navigation tools to design routes that do a better job of distributing the burdens and limiting excessive noise pollution in sensitive areas. In Palo Alto and Santa Cruz, neighborhood activists and elected officials have argued that the FAA should use the NextGen technology to "fan out" flight routes, meaning dividing the single aerial freeway into multiple roads. "Our requests are modest, but they could have a big impact on our community," said Leopold, the Santa Cruz County supervisor. James Lyons, a Woodside resident and one of the plaintiffs challenging FAA's NorCal project in the federal petition filed by the Woodside-Portola Valley group, said that more thorough environmental scrutiny would clearly force the FAA to develop a less harmful system. "It's like building an extension of Interstate 80 outside your bedroom," he said. "I would anticipate if they did an honest analysis, it would show that it imposes a dramatic impact on the area living near the superhighway." Sometimes, minor shifts can make a big difference. Fristrup, the NPS senior scientist, noted that when the FAA in Colorado rerouted flights away from a wilderness section of Rocky Mountain National Park and over a vehicle road, the restoration of natural silence in certain areas was profound. Leopold said he hopes that the FAA partners with local elected officials and community groups to provide some relief soon. If not, he said, officials in Santa Cruz could consider litigation — like the City of Phoenix has filed against the FAA over the implementation of NextGen in Arizona. After all, for some of Leopold's constituents, the need is urgent. For example, in a two-mile aerial zone above Happy Valley (an unincorporated area of the county just outside the city of Santa Cruz), data on arrivals to SFO shows that while residents experienced 114 flights overhead from March 5 to April 12 of 2014, during that same time period this year — after the local implementation of NextGen — the same area heard 5,588 jets overhead. That is, Leopold said, a significant impact.